Dell Inspiron 9300 Schematic Diagram. 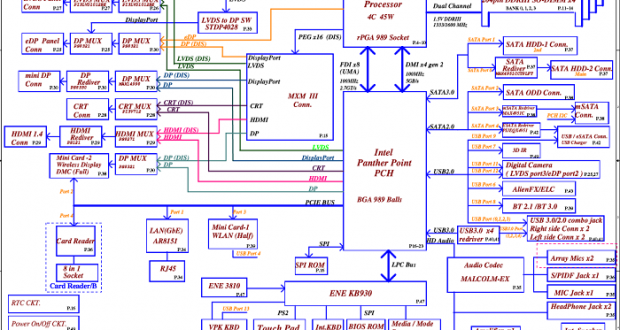 You can download this schematic diagram free of cost. The schematic diagram is a drawing which by means of standard symbols, shows all the significant components, tasks, parts, connections of a circuit, and flow of any particular laptop or object. It uses lines to represent the wires and symbols to represent the components. Here you will find the LA-2171 r0.2 schematic diagram. You will not find any hesitation to download the Dell Inspiron 9300 schematic diagram. You can also search for many other various diagrams on our site. If your required diagram is not present on the website. Just let us know by commenting the name of a diagram in the comments. We will update it as soon as possible. By clicking the download button given below, you will be redirected to the download link of LA-2171 r0.2 schematic diagram.